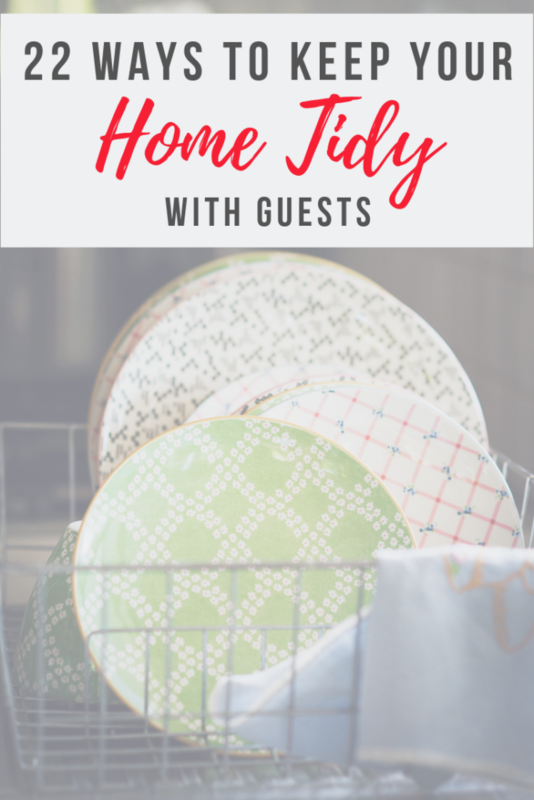 Do you find it frustrating how quickly your pristine home turns to chaos with a houseful of guests? How all that hard work you put into making it look beautiful goes straight out of the window? You’re not alone, especially at this time of year when many people are hosting families overnight for the Holidays. With the fun and festivities comes the dread of dirty dishes, wet towels on the floor, and muddy shoes. 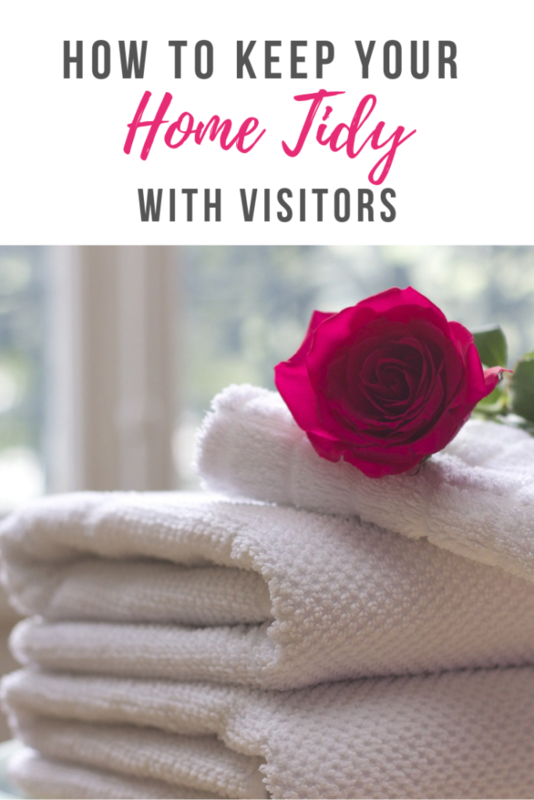 Read on for 22 tips to keep your home tidy with visitors. 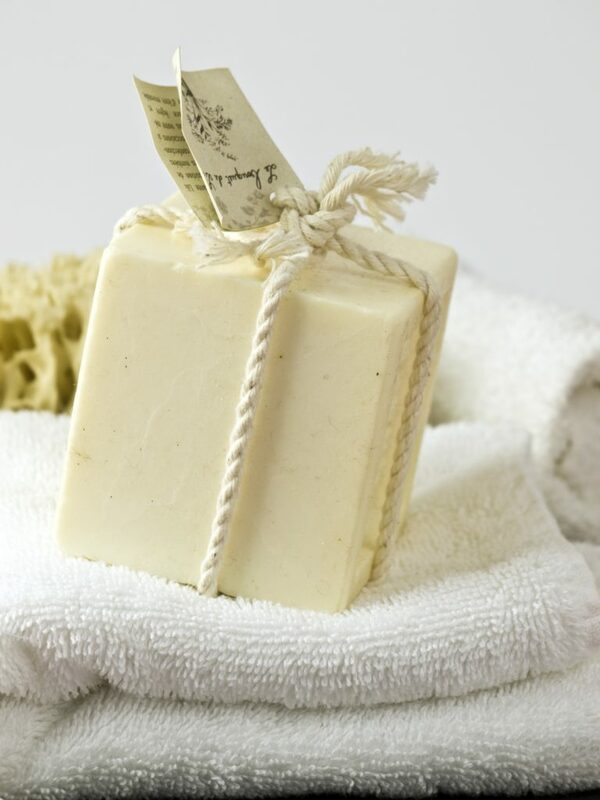 You’ll almost certainly be going to a lot of trouble before your guests arrive. No doubt you’ll be cleaning and de-cluttering your house to make it warm and welcoming for your guests. There are a few things you may want to focus on and plan for in advance to make things a little easier. It’s likely that they’ll be bringing quite a bit of ‘stuff’ with them so clearing away as much of your own belongings to make space might be a good idea. Concentrate on common areas that your guests will be using, namely the entryway, family room, kitchen, bathrooms, and guest rooms. They shouldn’t be going into your room or your kids’ rooms, so if they’re untidy, don’t worry. Just close the doors. Have a shoe tray by the front door for guests to leave their shoes and boots. As mentioned in my previous How To, having a basket of inexpensive slippers by the front door can make your guests feel at home and help you keep the floors clean! Remove clutter from surfaces such as dressers and nightstands in guest bedrooms, tidy away bills and papers from the kitchen table. Make some space for your guests’ personal belongings by clearing out a drawer or two and giving them some hanging space in the closet. That way, they don’t have to live out of their suitcase and they’re less likely to be leaving things all over the floor! Ensure the bathrooms and powder rooms are spotless, with plenty of toilet paper and fresh hand towels. 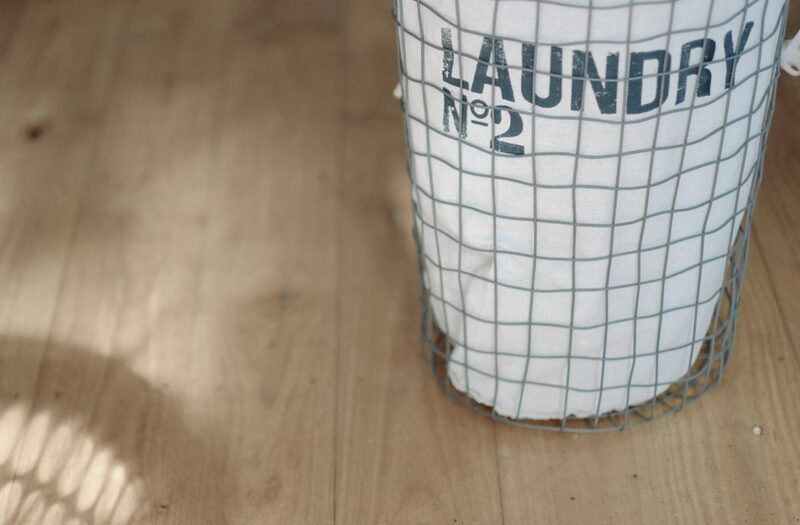 Invest in some baskets such as these for storage; it’s amazing how quickly you can tidy a room in this way. In the bathrooms, you could have a couple of small baskets – one with clean towels or washcloths rolled up and one for those that are used. In the family room, you could have one for magazines, one for remote controls and a larger one for some cozy throws. Have a basket of snacks and fruit in the kitchen so guests can help themselves and don’t need to go searching through cupboards when they’re feeling hungry! 6. Don’t feel like you need to hide all your kids’ toys away, maybe just designate an area of a room for playtime. The same goes for books and magazines that are scattered around. You can gather them together and put them in a basket or in a pile on the coffee table. 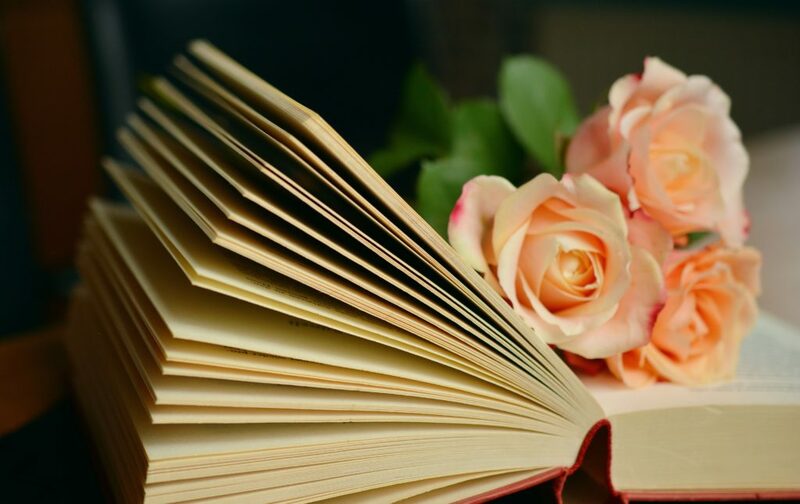 You want your house to look lived in, and a good book lying open can be a great conversation starter! 7. Don’t start panic buying home goods; you’ll end up spending a fortune. You don’t need brand new bed sheets and towels, as long as the ones you have are clean and without stains or rips. 8. Don’t rush to finish a project you are in the middle of at home. Just warn your guests, for example, if you have an area with wet paint. They’re coming to see you not your house! 9. Don’t worry about the finer details as long as your guests have the basic amenities and comforts, they’ll be perfectly happy. Once your guests arrive, it’ll be tricky for you to keep the house as spotless as it usually is. As difficult as that may feel, you may just need to accept this and grit your teeth for the duration of their stay. You don’t want your guests to feel uncomfortable by following them around with a vacuum, or constantly cleaning up after them. However, there are some things you can do while they are there to try and keep the mess under control. 10. Try getting up earlier than usual to give your house a quick once over before your guests wake up. Check the floors are clean, the powder room is spotless and the dishes are done. 11. If you’re stressing about dusty surfaces, then give them a quick once over when your guests are out of the room. 12. Vacuuming can be noisy and inconsiderate, especially when your guests are trying to relax or sleep. A good time to do this would be when they’re bathing so as not to disturb them. 13. Be sure to do dishes after every meal so they don’t pile up. 14. It’s probably fine to leave them, but if you feel you have to clean your guests’ rooms, it’s courteous to let them know. Give them a quick once over and don’t move their things around, however tempting it is! Not everyone will have the same ideas of cleanliness as you. If they’re only staying with you for a short time, it may be easier to just let it go. It’s much more important for everyone to have fun, and your relationships to remain intact. With that said, you might need to put your foot down if things get out of hand. Especially if guests are staying for a longer duration. You may want to set some ground rules so that everyone is on the same page. This’ll help save you from running yourself into the ground. 15. Issue directions about where to put coats and shoes when your guests first arrive. 16. Set out the trash and recycling cans in a visible place, and point them out to your guests. You could even place a wastebasket in every room. 17. Ask your guests to keep their belongings in their room. As mentioned before, make sure there’s enough space for them to put their stuff. 18. To save having spills on the carpet and stains on the couch, tell everyone that food and drink must stay in the kitchen and dining room. 19. Invent a game for the children (better still with a prize! ): who can pick up the most trash in one hour? 20. If your guests are particularly untidy, try asking ‘Who’s is this?’ or ‘Are you done with this?’ and hopefully they’ll take the hint! 22. Breathe and let it go. It’s not forever! Having guests can be a stressful time for anyone. Trying to keep on top of the mess can make it even more challenging. You want to make a good impression with a beautiful clean home, but also want your guests to feel relaxed. Cleaning around them constantly can make them feel anxious and unwelcome. You’ll end up exhausting yourself when you should be enjoying their company. 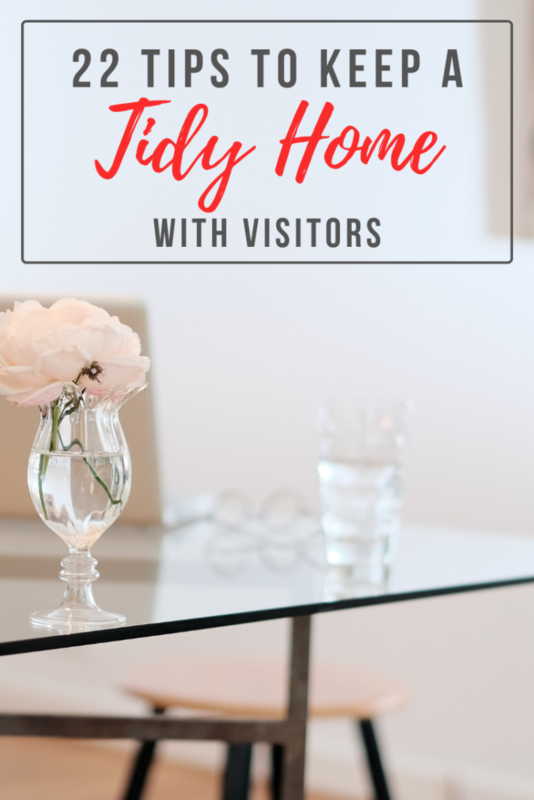 If you follow these 22 tips to keep your home tidy with visitors, you should be able to keep control. You need to be a little flexible, and at times honest, but most importantly, you should be enjoying the time with your guests. For more tips on being prepared for the Holidays, you might like to read the following: How to be prepared for the Holidays, How to have a Minimalist Christmas and How to stay organized when hosting a family Christmas!